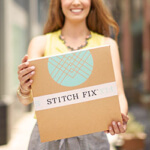 Do you ever wish you could tell your Stitch Fix Stylist exactly what you want? Well, we talked to Stylist Alexandra O. (you’ve probably seen her around) to get the inside scoop. The secret shouldn’t be so secret here—enter the Fix Request Note, which allows you to write your Stylist for every Fix. It’s *the* place to let your Stylist know what’s going on with you and your closet, and leave specific requests like “one pair of dark wash jeans, please!” for your best Fixes ever. Q: So, first things first. What is a Fix Request Note? A: Your Fix Request Note is your space to tell us what you’re looking for in this Fix. You can tell us about upcoming events that you’d like an outfit for, if you need a seasonal update or if you’re looking to try a new style! Fix Request Notes come in all different shapes and sizes, and they are really helpful for your Stylist. Q: Why fill one out? A: You should fill out your Fix Request Notes because it will help you get what you’re hoping for in your Fix! If you tell us what you want (or don’t want) we have a much better idea of how we can knock your Fix out of the park. 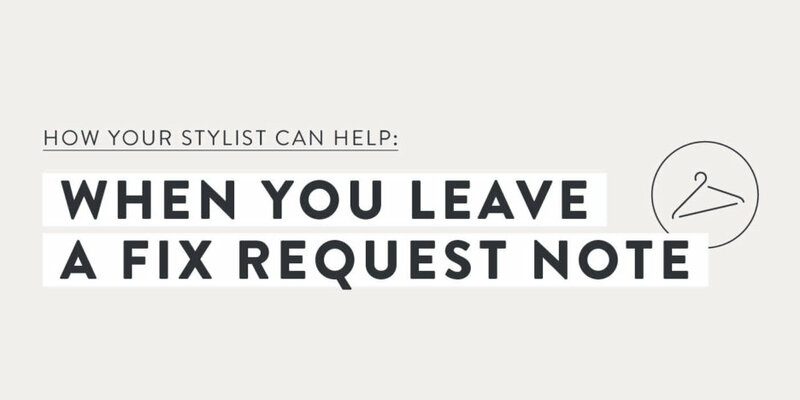 A Fix Request Note is the first thing your Stylist will check when styling your Fix because it helps them know exactly where to get started. We may not be able to send you specific pieces you request, but if you let us know what you’re looking for in general, we can build the Fix around that request! If you tell us what you want (or don’t want) we have a much better idea of how we can knock your Fix out of the park. Q: What’s helpful to see in there if they do fill it out? A: I think the most important thing to see in a Fix Request Note is really what you are hoping for in the Fix. Do you want a complete outfit, or are you looking for new dresses for when spring finally arrives? Do you have a graduation coming up or a summer wedding to attend? Re there any vacations on your horizon? By telling us what events you need clothes for, we can find the pieces that are just right for you. You can also tell us a specific style that you saw on our social media and what you love about it. That way, your Stylist can use it as inspiration and pick out a similar piece that will fit your body, style and price point! Q: Do Stylists actually read their note? A: Yes, yes, a thousand times, YES! I know that comes across as dramatic, but I want to make sure our readers know that we most definitely read Fix Request Notes! Q: Quick—the client has 30 seconds max to fill it out, what should they write? A: It really only takes a few seconds, and the payoff is worth it! Tell us what would be on your shopping list if you were hitting the mall yourself. Then, we do the work while you enjoy time with your family and friends! Tell us what would be on your shopping list if you were hitting the mall yourself. Then, we do the work while you enjoy time with your family and friends! Q: What do you leave in your Fix Request Notes? A: I’m specific about the intent of the clothes I’m looking for, but not the actual styles themselves because the surprise is the fun part! For my last Fix, I requested casual styles for work: a few new sweaters to see me through the last weeks of winter, a cool jumpsuit if there was one that seemed my style, and tops instead of jeans because I have so many awesome jeans from previous Fixes! And guess what? I loved all the items in my Fix. Ready to leave your Stylist a note to get clothes you love? Schedule a Fix and get writing!